We don’t need to tell you that babies are expensive – from prams to diapers, the costs can soon add up. The good news is that cash-strapped Moms can get their hands on free samples from some great websites and, we’ve put together a list of our favorites to get you started. Amazon’s Baby Registry service is a clever way of to get baby essentials and wish list items for free or at a heavy discount. The site has been created predominantly for expectant mothers to put together a list of items needed or wanted for baby’s arrival. Registration is free and easy and, during the registration process, users can choose to either make the list public or to send a link to targeted recipients. Once your account is complete, you can add wanted items to your registry and share with others who may choose to gift one or more of the the items to you. On completion of the list, Amazon will send you a Welcome Box containing baby items valued at up to £25. In addition, free shipping and returns are available on most items. Freebie Mom is a one stop shop for all things free and discounted. The site includes Amazon Giveaways, Hot Deals, a Sweepstakes Portal and, of course, freebies. Simply click on the Freebies tab and scroll through the available offers (if you’re after something specific, you can use the search tool in the top right hand corner of the screen). Next, click on the deal that you fancy, at which point you’ll be prompted to open an account. Once your account is open, your chosen coupons and deals will be added to your account, ready for you to use. As straight-forward as it sounds, My Free Product Samples is a website for those looking for great free products. Users can subscribe to the site in order to receive instant freebies. A deal alert will be emailed to you daily, showcasing the 8 latest offers available. From the home page, click onto Baby Samples to see all current offers which include free diapers in exchange for a review on Viewpointand a free Walmart Welcome baby boxfor new moms. Babycenter is the go-to blog for everything related to children – from conception to taking care of school age kids. The site features a lot of handy tools for moms including ovulation calculators and baby name finders and, most importantly, freebies. Users need to register on the website and enter details of their child(ren) in order to open an account. Once registered, in addition to the free tools, guides and community forums available, users will receive regular offers on free and discounted baby and child products. Getting free samples couldn’t be easier with Tryspree- a website which should be on every mom’s favorites list. Pop your details onto the registration page – including your clothing size and date of birth – to open your free Tryspree account. You can then browse the site by category. Once you’ve found a product that you like the look of, simply click on the ‘Tryspree it’ button and that’s it, your sample will be sent to you – you don’t even have to visit another site or fill in any other information! As well as baby products, users can get their hands on free samples of food, drink, clothing and much more. If you’re after baby samples, you’ve come to the right place! Simple and straight-forward, this site offers great deals and cool new products as well as the all-important freebies. Simply register online for a free account and then browse the available freebies which include diapers, wipes and handy items for moms including a Baby Boosternutrition shake for expectant mothers. To get free products, just click on the offer you like and then click the ‘get it now’ button. Samples will then be sent to you by mail. The site also features coupons and discounts to help those with limited budgets. 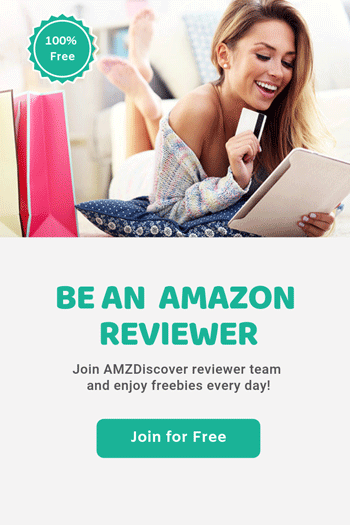 Guide2free is a site offering deals and freebies from Amazon and many other high profile e-commerce sites. The site features offers on anything from spa days to clothing and, of course, baby items. Although useful, the site can take a little getting used to – and can, at times, be frustrating as a lot of the ‘free’ offers do, in fact, require a purchase, payment of shipping fee or subscription to a particular deal, such as monthly purchase sites. Babiesonline is a fun, easy to use website offering advice and tips to new and expectant parents. Moms can find lots of useful articles and fun facts on the site and can interact with other parents in a safe and supportive environment. From the homepage, click onto ‘Free Baby Stuff’ on the menu to view all available free products and coupons. Deals include free formula and diaper coupons and baby food samples. Registration with Babiesonline is, unfortunately, only available for users within the United States. My Momma Taught Me brings deals and freebies to its website and social media. User friendly and with clearly marked categories, My Momma Taught Me features online deals, freebies and coupons as well as educational tools, advice and recipes. From the home page, click onto ‘How To Get Free Stuff’- you’ll then be presented with the current freebies on offer. Click the offer you want and, you’ll be given instructions on how to bag it. There’s unfortunately no search option so you’ll need to have the patience to scroll through all the offers in the order that they’re presented. Users can also subscribe to the site to receive offers by email. Enfamil is one of the leading manufacturers of baby products including formula, vitamins and post-pregnancy products for mothers. Parents can obtain free samples of Enfamil products by signing up to the Enfamil Family Beginningssite. Once registered, coupons and offers will be emailed to your inbox on a regular basis. Customers can also request a free sample of Enfagrow Toddler Formula through Enfamil’s simple request form. A favorite for moms on limited budgets, the Walmart Baby Box scheme is available by simply subscribing to the list online. Fill in your details in your account and Walmart will deliver baby boxes to you for the three stages of development; pre-natal, newborn and toddler. As the name suggests, the Honest Co prides itself on its fully transparent service. Customers sign up to the site then choose a box or bundle offer including diapers, wipes and more. Although the products supplied are free, customers are made aware that they are required to cover shipping costs. A well known and trusted name, Target’s baby registry allows parents to create a wish list of baby products which can be purchased by themselves or as a gift by others. Signing up to the registry also gives members access to exclusive offers, coupons and deals. World famous diaper brand, Huggies is, as you would expect, a great place for discounts and offers. The Huggies Rewards scheme (available as an app) allows customers to collect points, receive discounts and download coupons for money saving. Members receive 500 points for signing up and, points can be redeemed at a number of places including Pottery Barn. Similac is a popular baby formula manufacturer and a trusted brand. Similac’s reward scheme includes a sweepstake for great prizes as well as really useful reward gifts. Similac’s site also offers tips and advice for moms through pregnancy to pre-school. We all like to save money when we can and, budgeting is never more important than when you’re welcoming a new baby. We can’t help with the sleepless nights but our list of freebie and discount sites will at least help lessen the load.